Seniors on the Move - "Scenic Empress Tour"
Thurs, June 13 8:00 a.m. - 6:30 p.m. The day will include site seeing and tours of many Iowa Falls cultural venues, like the Carnegie-Ellsworth Building, the Dow House, and The International Art Collection. 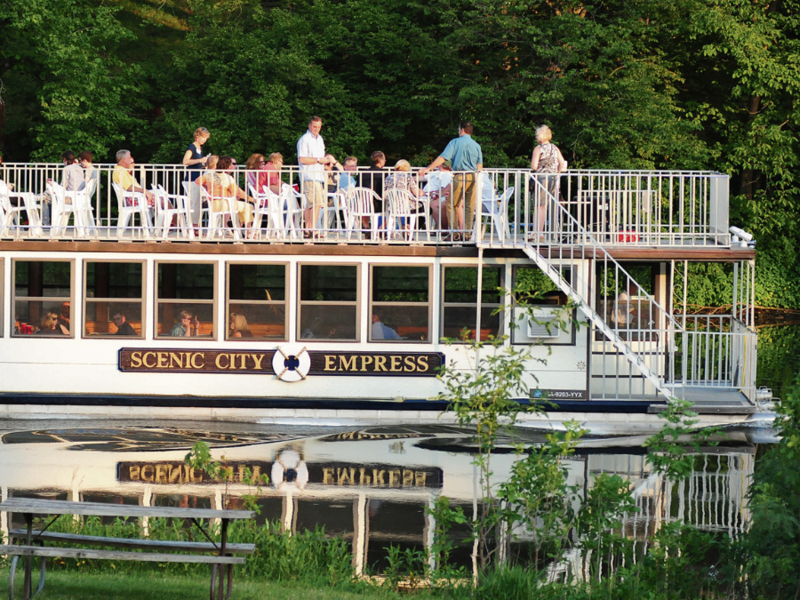 We will enjoy a beautiful luncheon cruise on the Scenic City Empress, a double-deck riverboat with an enclosed lower level. 8:00 a.m. Depart from southwest parking lot of Walmart, 1001 73rd St. in Windsor Heights. 8:15 a.m. Second pick up at Bonanza parking lot, 5029 NE 14th St. in Des Moines. 9:30 a.m. Arrive at Carnegie Ellsworth Building for rolls and coffee. Tour the Historical Dow House and Museum and the International Art Collection. 10:30 a.m. Organ concert at St. Matthew's Episcopal Church. 11:30 a.m. Luncheon Cruise on the Scenic Empress Riverboat. 1:30 p.m. Enjoy a backyard garden at Ramona Welden's. 3:00 p.m. Shopping in downtown Iowa Falls. 6:15 p.m. Estimated Arrival back at Bonanza parking lot. 6:30 p.m. Estimated Arrival back at Walmart parking lot.